I am not sure if alcoholism is genetic but it is scattered across my family and I happened to catch it. I had my first drink when I was nine but didn’t get drunk until middle school. I dabbled in pain pills but swore them off when I saw the consequences around me. When I graduated high school, I hit all the parties and got a fake ID to get into the bars. I thought that I was doing what all 18 year olds do, but I quickly found out that my partying wasn’t like my friends. It wasn’t normal to drink or behave the way that I did. My drinking and partying was on and off for the next four years until I felt like it was too noticeable to continue. I turned to pain pills to help me function better, but this way of life brought me to my knees quickly. I found a 12 step program in a hospital to get help but struggled to stay sober for the next four years. I’m not sure if I wasn’t ready to get sober or if I just surrendered to addiction but I met my match, heroin. In 2015, I was in and out of nine different institutions until my mom stepped in. I was put under Casey Law and my life was saved. My mother gave me the choice to go to treatment or go to jail. I decided to give treatment a try and got placed at Brighton Recovery Center for Women. I didn’t want to go but I knew I would live the rest of my life homeless with a needle in my arm or I would die. The year I spent living at the Center changed everything for me. I learned how to be an adult, I was loved until I loved myself, and a faith in God grew to be something I never knew. I learned more and more about myself with each component of the program. I was coming close to the end of my stay at the Recovery Center and I didn’t know what I would do for work. I had burned every bridge in the phlebotomy field so I was full of fear. Of course, Brighton Center wasn’t done with me yet and they offered me the laboratory job inside the Center, which I graciously accepted. I have been conducting the drug screens and drawing the blood orders for the women inside of Brighton Recovery Center for almost two years now and I’ve never loved a job this much. Within two months of moving out of the Center I moved into my own place, received unsupervised visits with my two daughters, and was able to pick them up in a car that I bought by myself. I’m finally a useful member of society and I can take care of myself. During one of the very first visits with my mom at Brighton Recovery Center for Women she told me that if this Casey Law doesn’t work she never wants to see my face again. A little over a year later I was able to surprise my mom and take her to see Garth Brooks in concert. She is my best friend now. 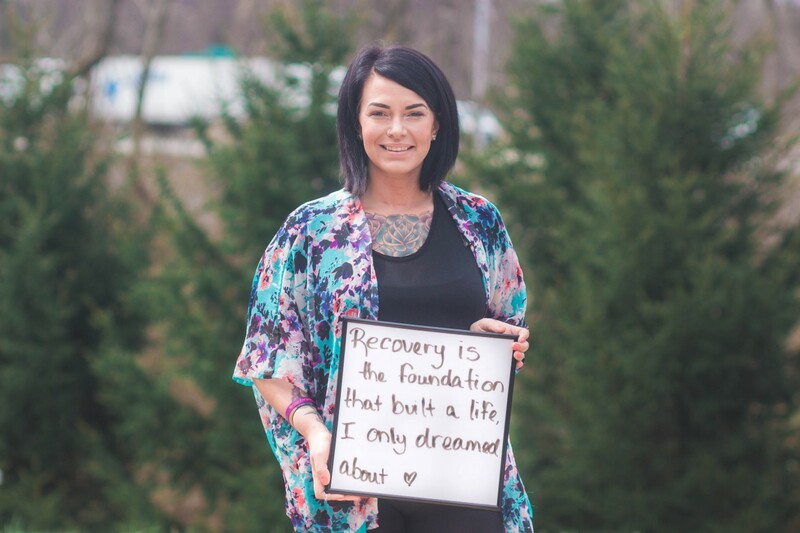 Today I am planning my wedding, I am a homeowner, I am a present mom, and on the hard days I get to go to work and receive all the love in the world from the current customers at Brighton Recovery Center. Brighton didn’t give me my life back because I didn’t have one. From the time I woke up until the time I closed my eyes all of my being was chasing a needle. Brighton Center gave me a life.